Save Another $11.90 Promo Code: "uvsale"
Our Lamps & Quartz Sleeves are shipped with superior packaging shown here. 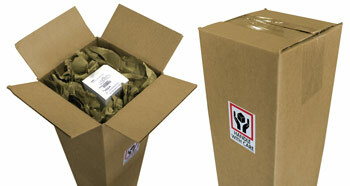 When you order with us you can be assured that your parts with arrive in perfect working order. A consumer must consider that when buying a UV system you are buying "water confidence". In order to ensure that confidence, the correct replacement lamp is vital to the continued performance of that piece of equipment. That being said if you buy a specific model it is imperative that you replace the lamp with one that has been designed for that model, otherwise how do you even know that the UV system is disinfecting your water? There are companies in the water industry that are selling "knockoff" lamps targeting residential UV systems that are sold world wide. These lamps are being offered at a very low price with the promise that they operate the same as the UV manufacturer's lamps. This promise is untrue. If a consumer were to install a "knockoff" lamp the "water confidence" that was being offered by the UV manufacturer no longer holds true and cannot be supported by the manufacturer and voids the warranty on Viqua systems. H2O provides only original UV Max and Sterilight Replacement Lamps. This QL-200 Lamp/Sleeve Combo is only for VH200 Systems. It is NOT COMPATIBLE with SC-200, SCM-200, SP-200, SP200-HO, SPV-200 or SPV-3.5 with use a different quartz sleeve. 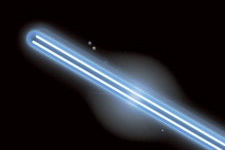 All Sterilight UV systems include an ultraviolet lamp, which is surrounded by a quartz sleeve. The amount of UV light created by the UV lamp decreases over time, requiring that the UV lamp be replaced. 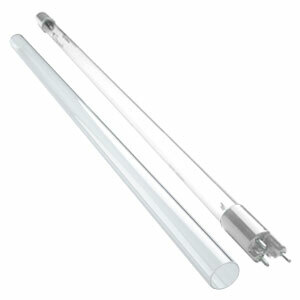 All Sterilight UV systems include a quartz sleeve, which surrounds the lamp. The quartz material used in Viqua's quartz sleeves are a 100% fused silica which lend to the sleeve's high transmittance. A high transmittance is important as the UV light must travel through the sleeve to get to the water.